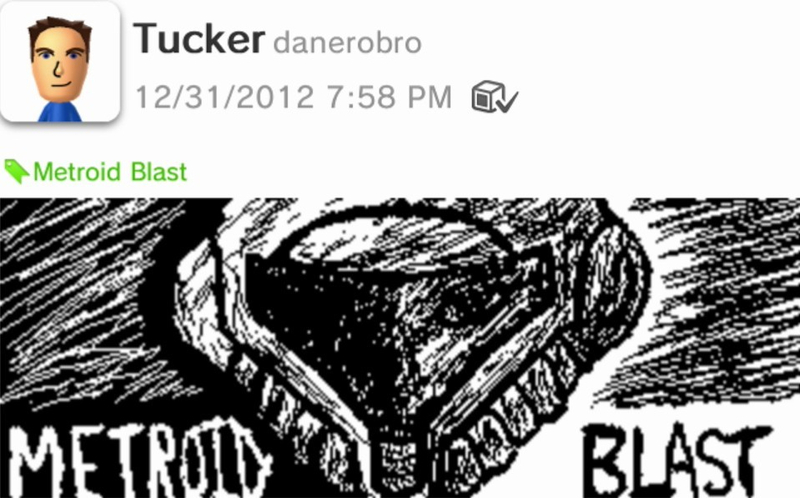 I'm the sort of artist who finds every round of Draw Something a challenge. 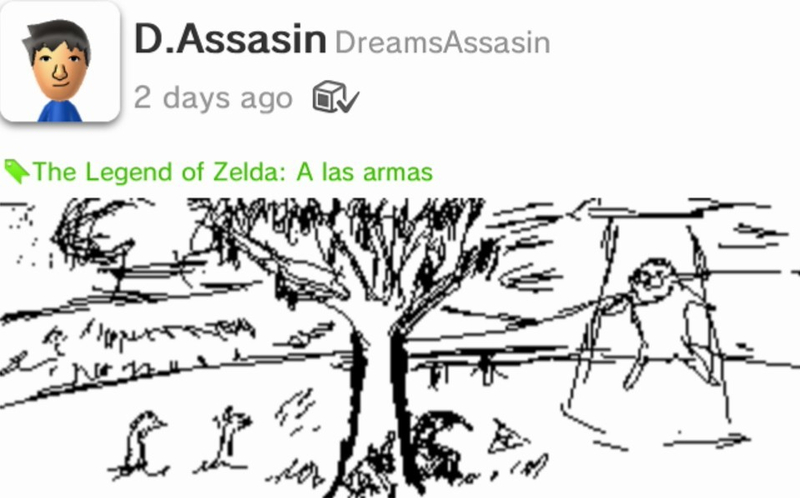 In my mind's eye, I picture detailed, evocative images that Bob Ross led me to believe would be easy to bring to life. 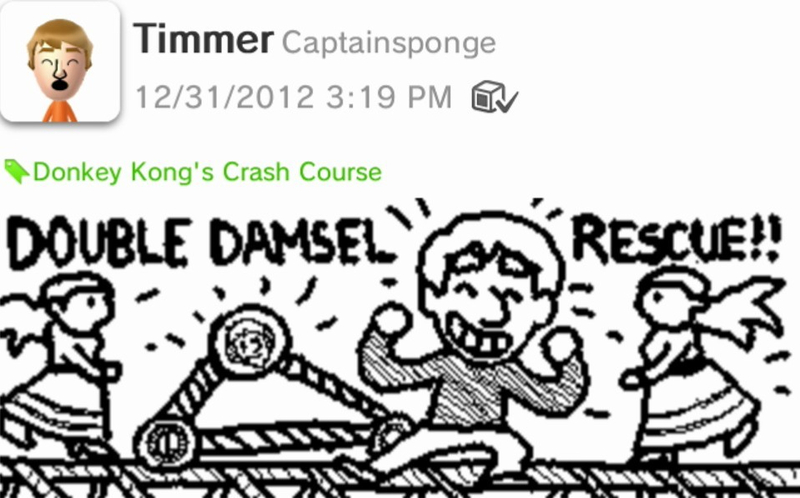 In reality, it's rare I can produce art that looks anything like I intended, even given the best of tools. 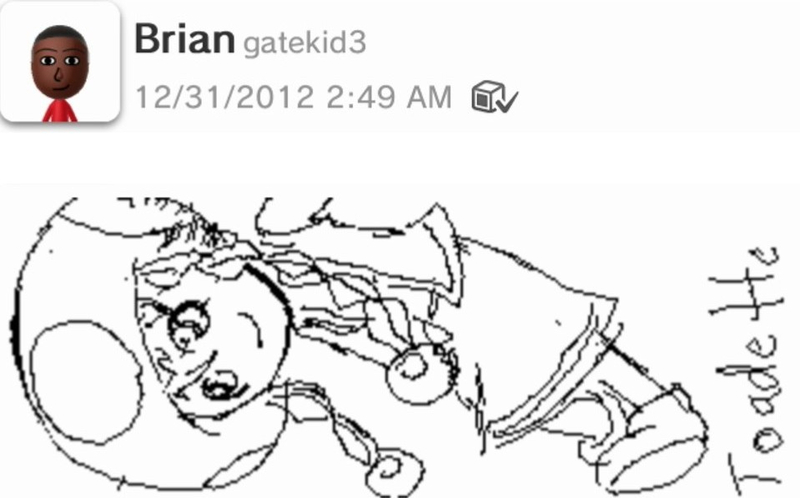 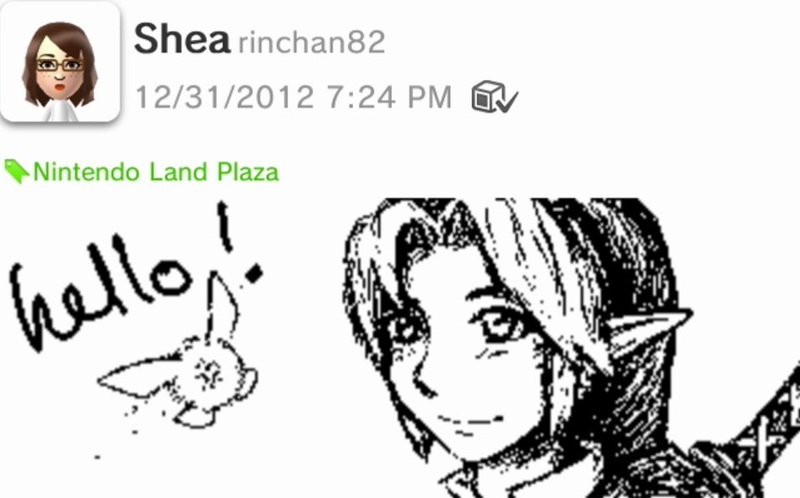 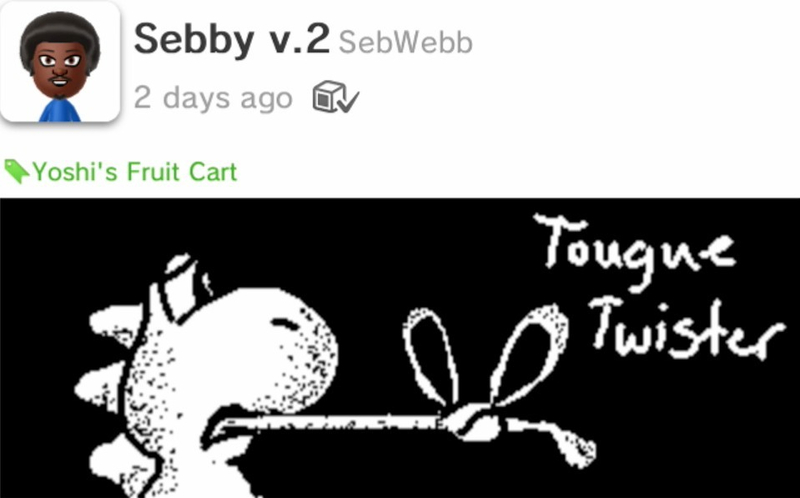 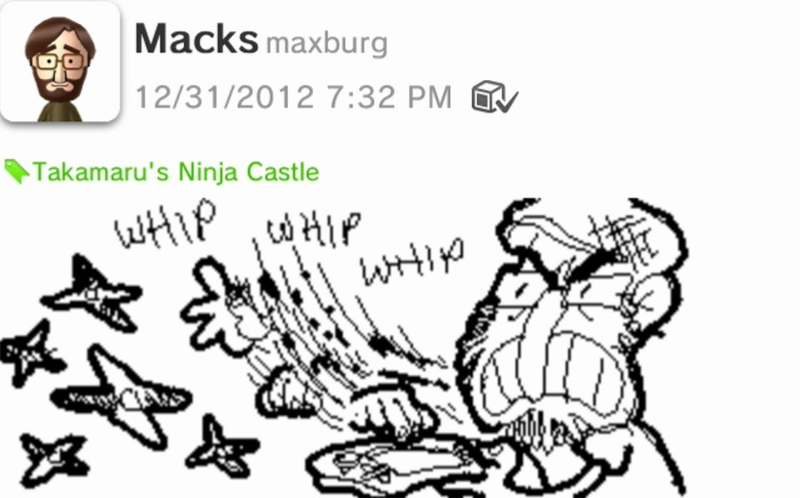 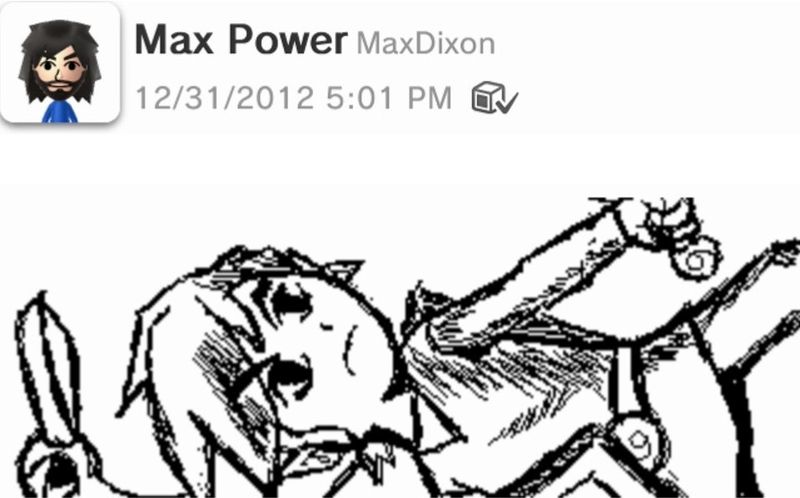 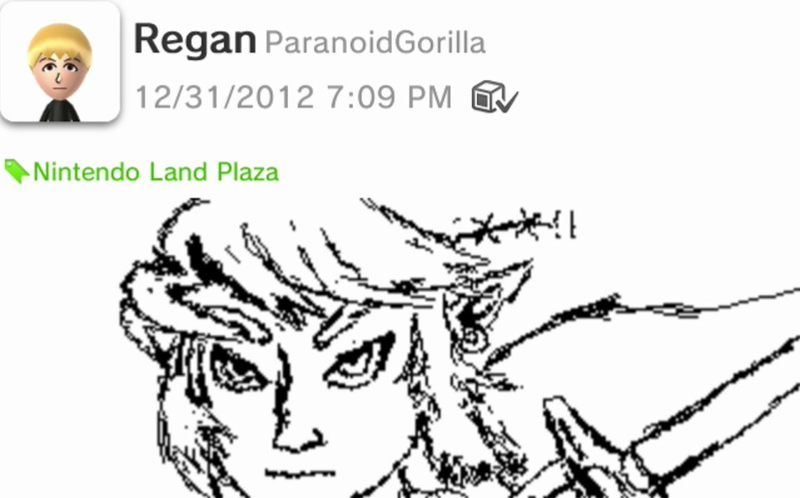 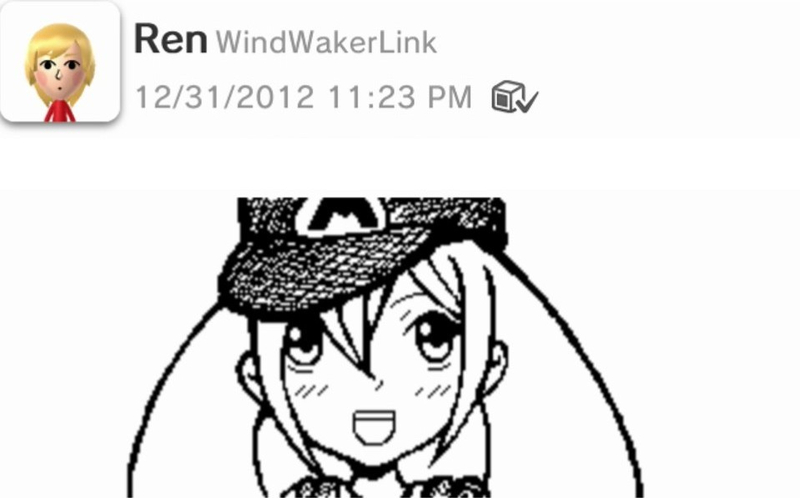 Which is why the black-and-white sketches that are popping up on the Nintendo Wii U's WaraWara Plaza are so impressive. 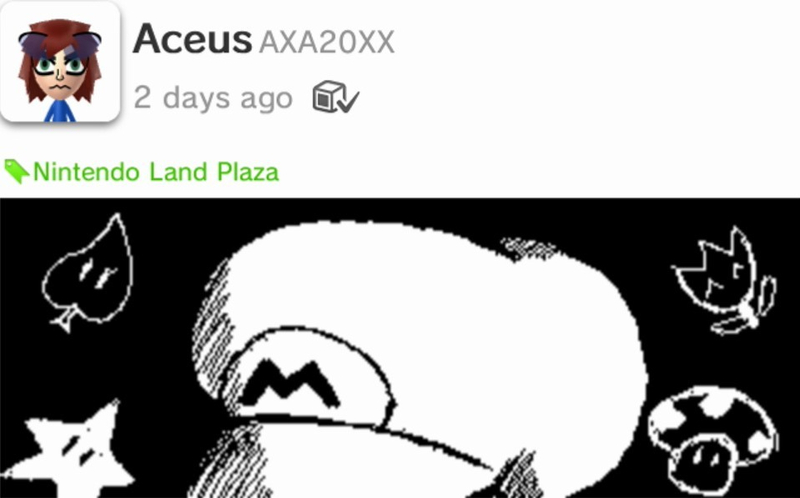 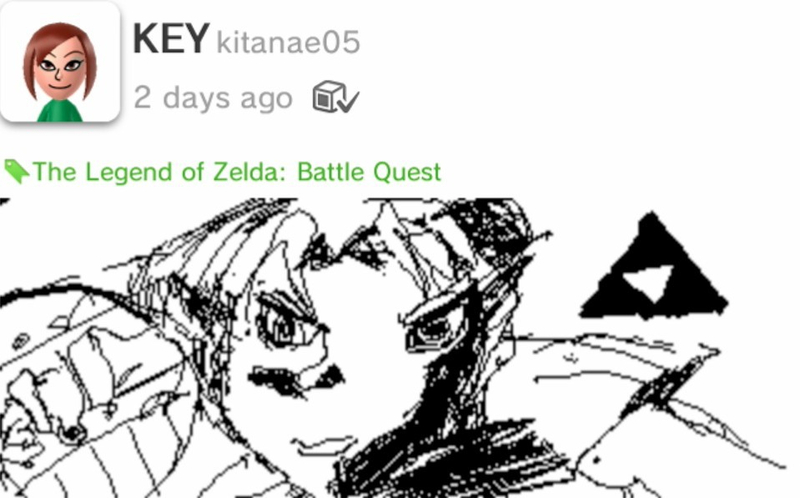 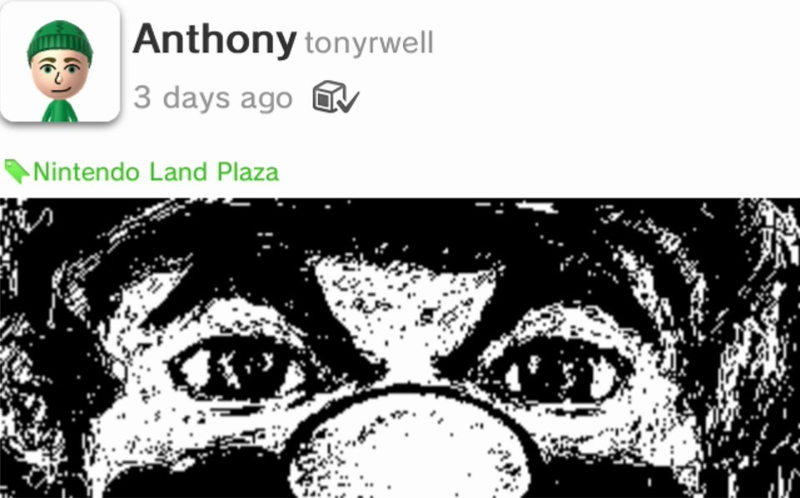 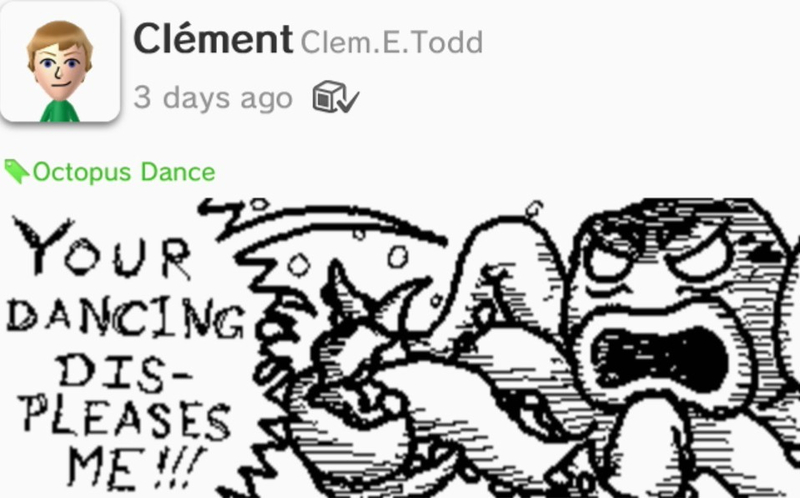 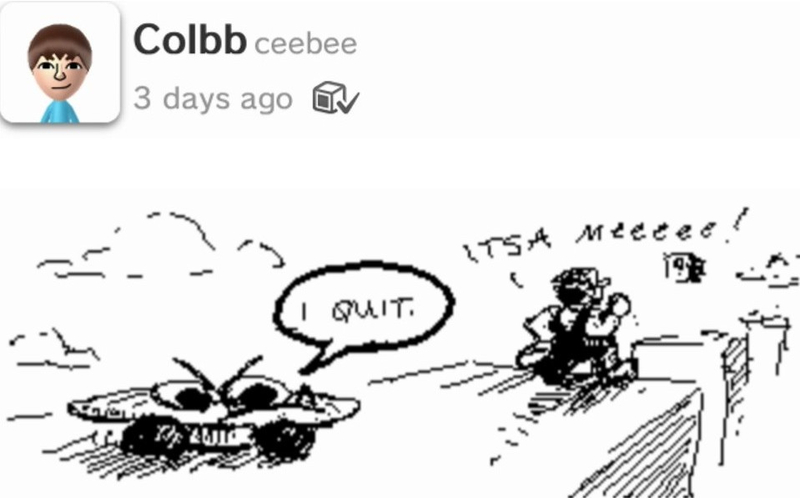 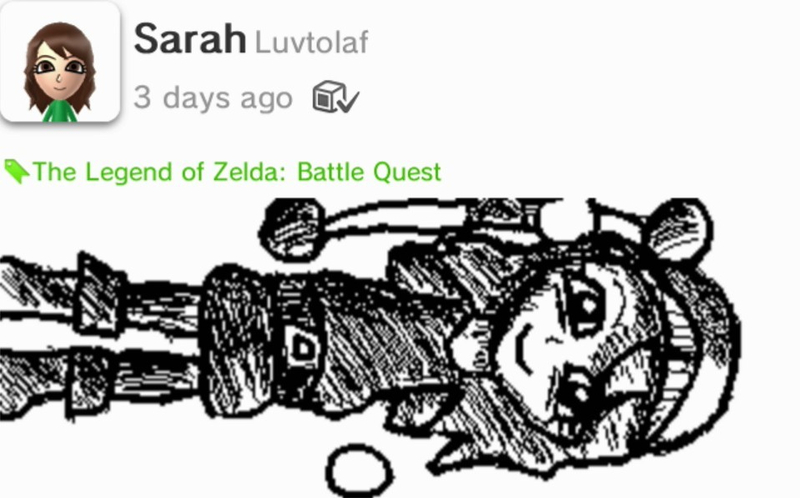 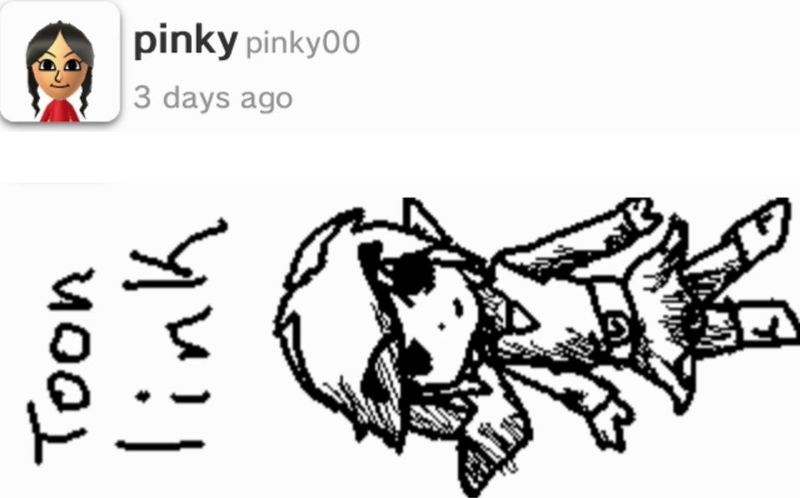 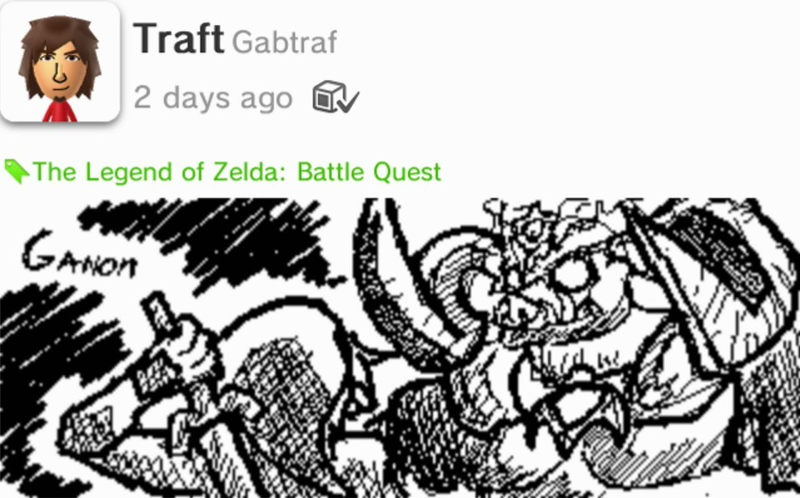 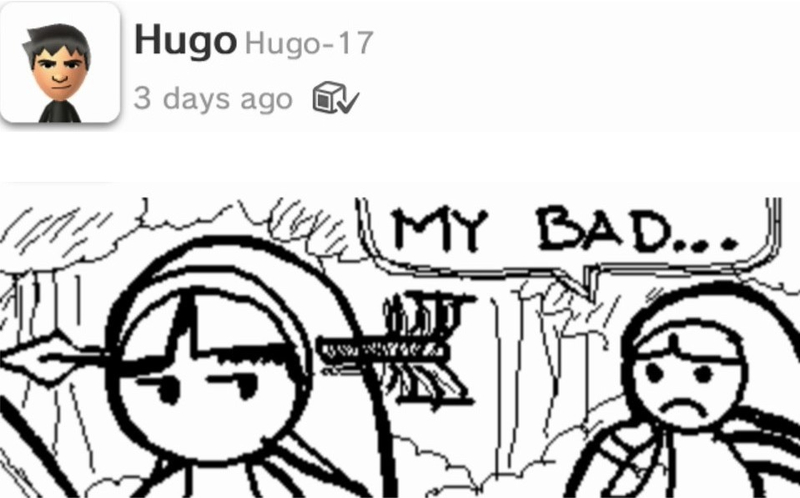 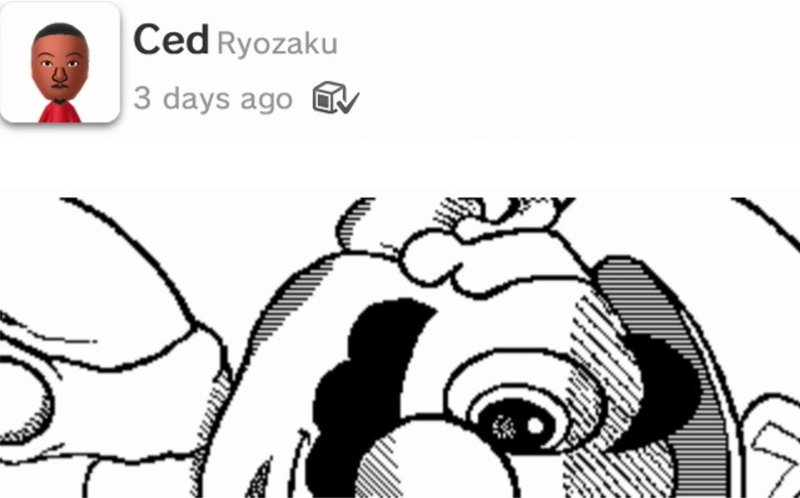 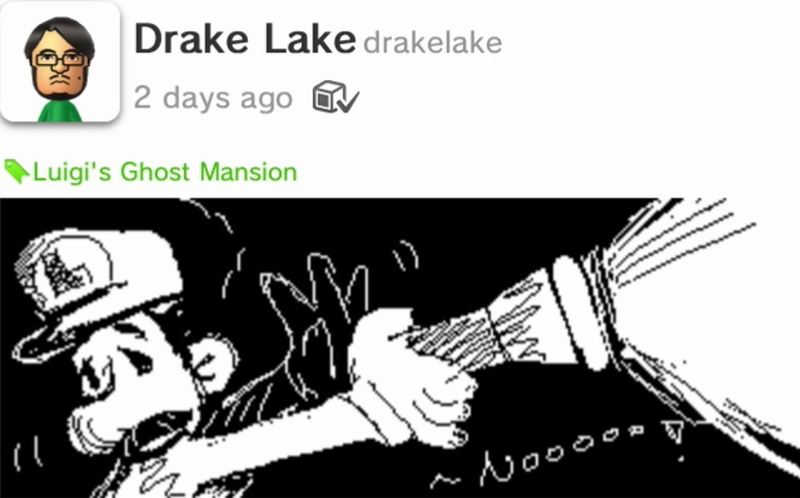 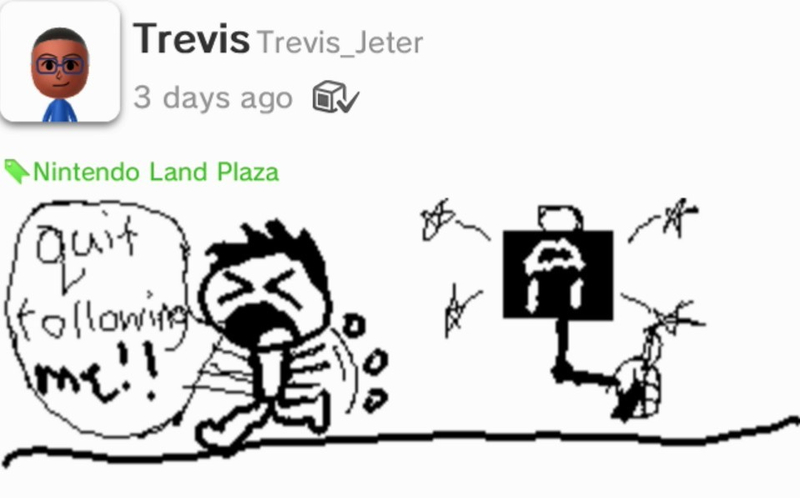 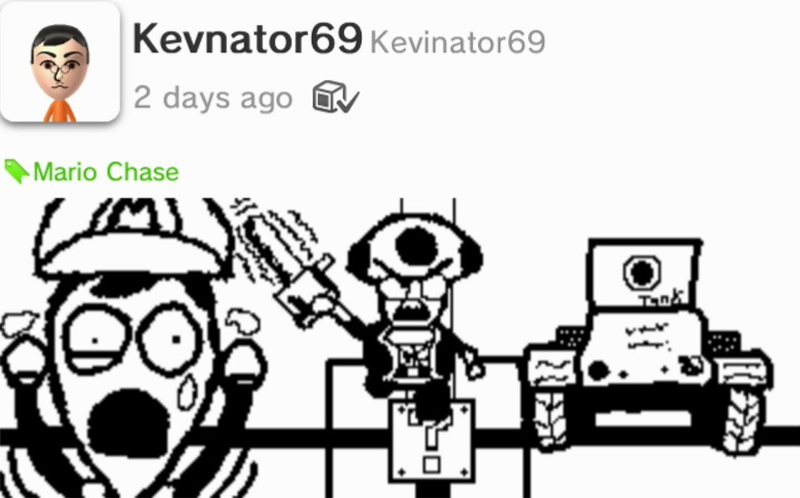 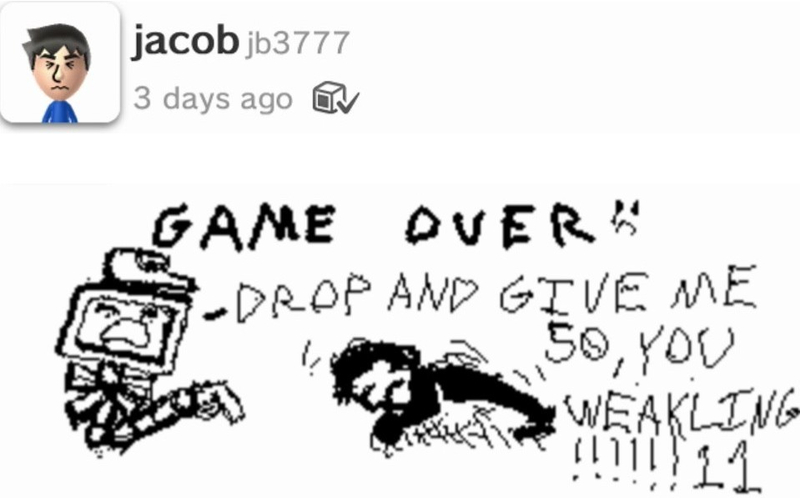 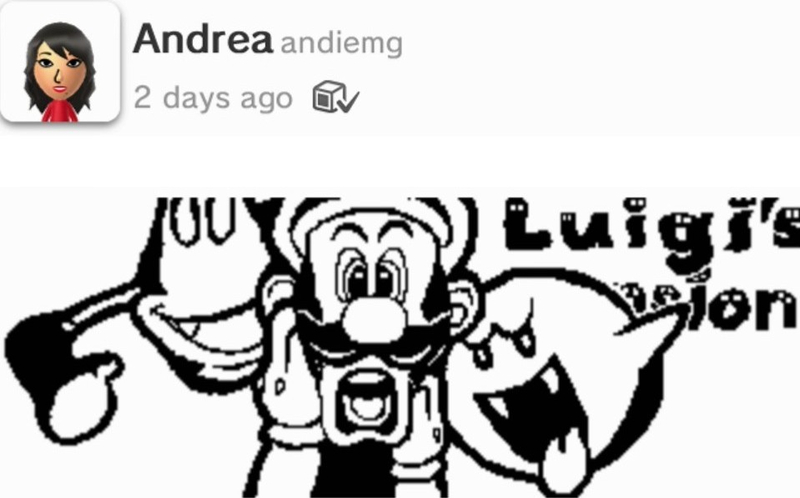 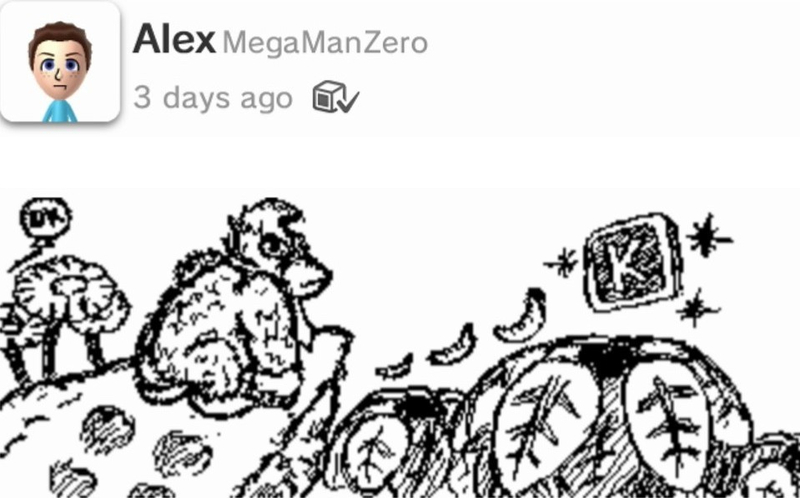 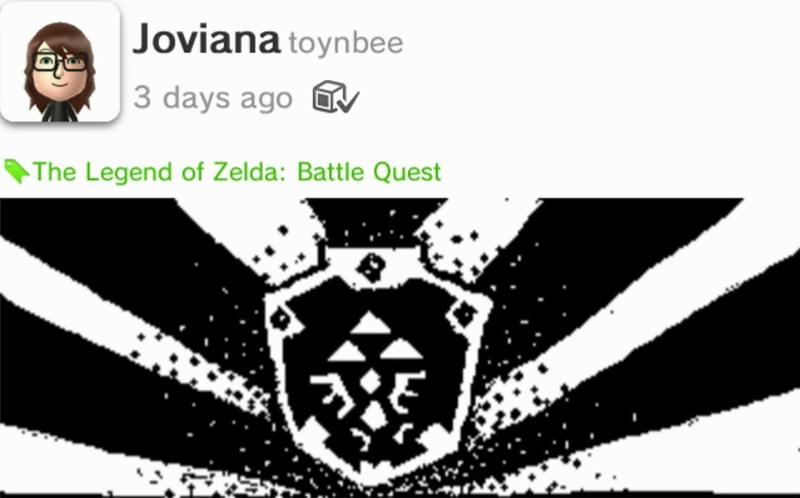 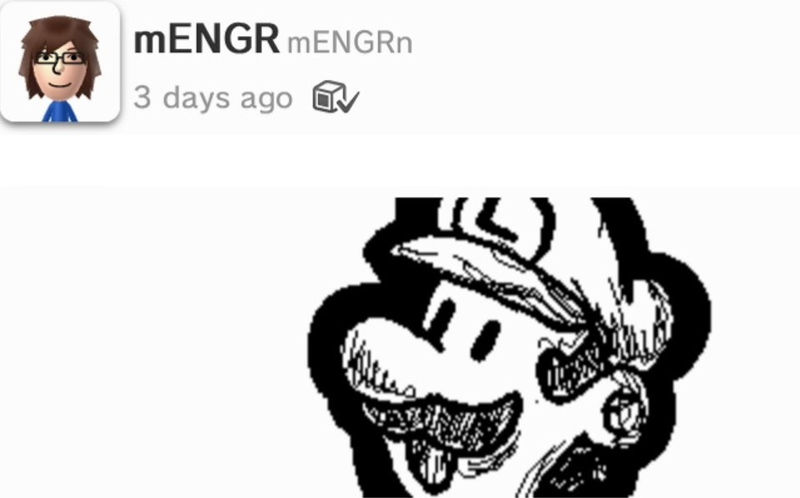 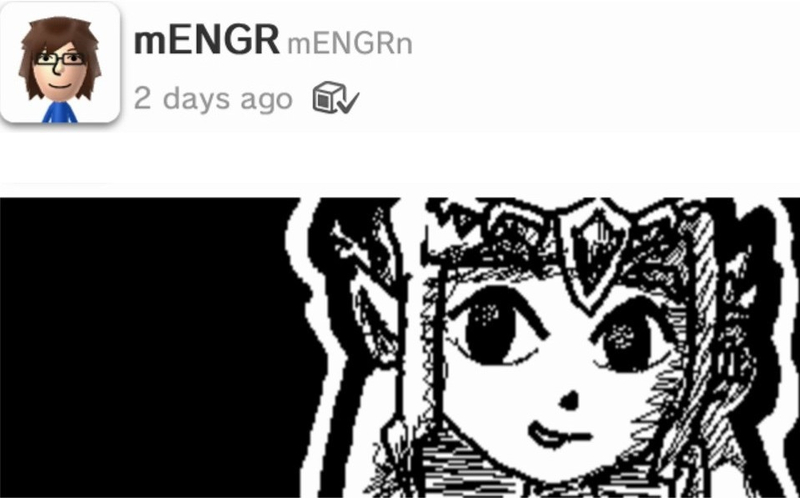 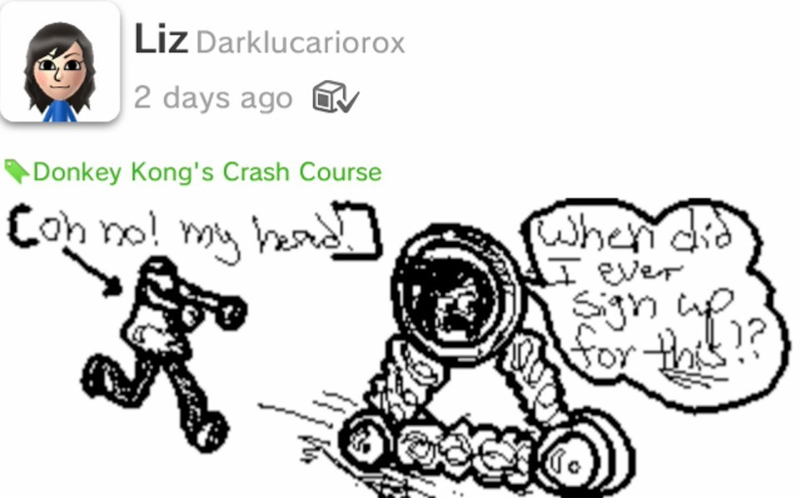 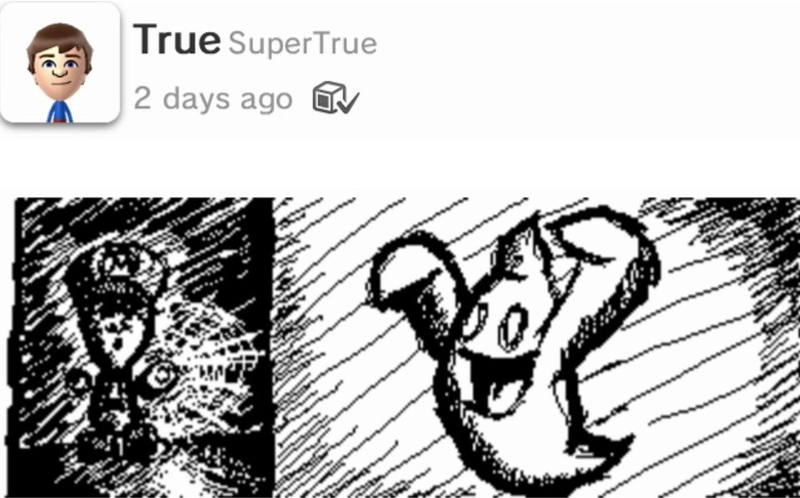 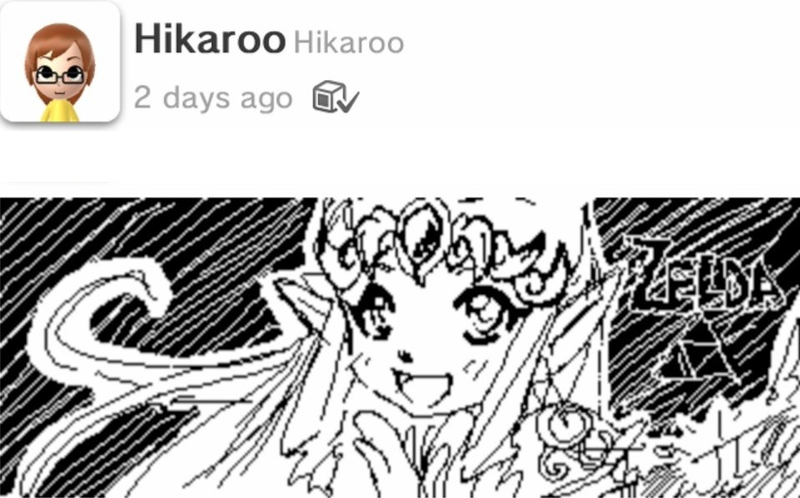 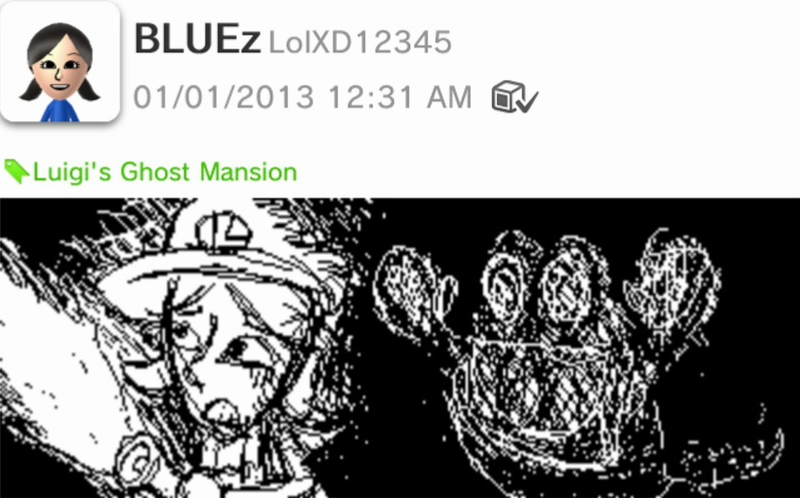 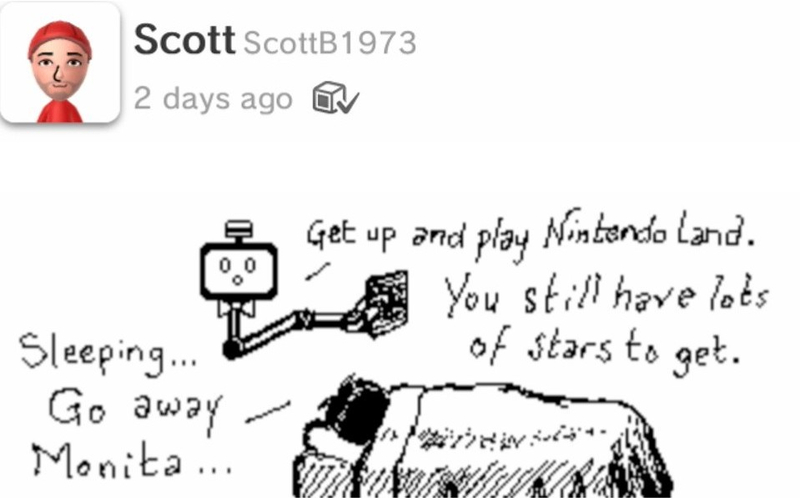 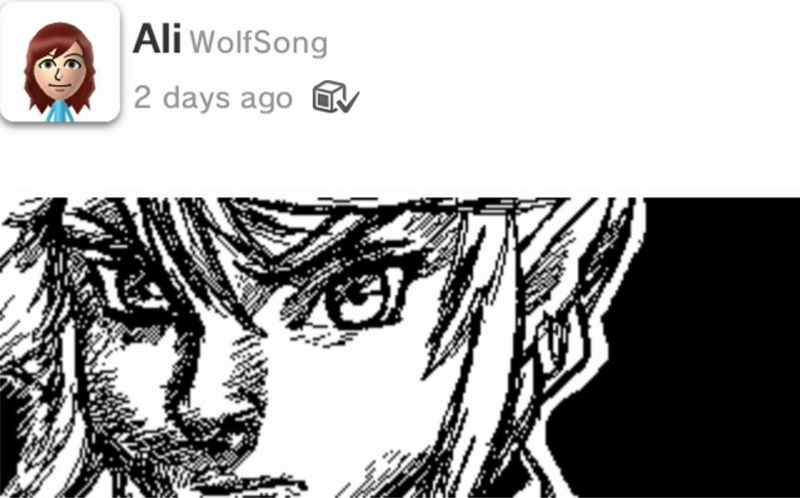 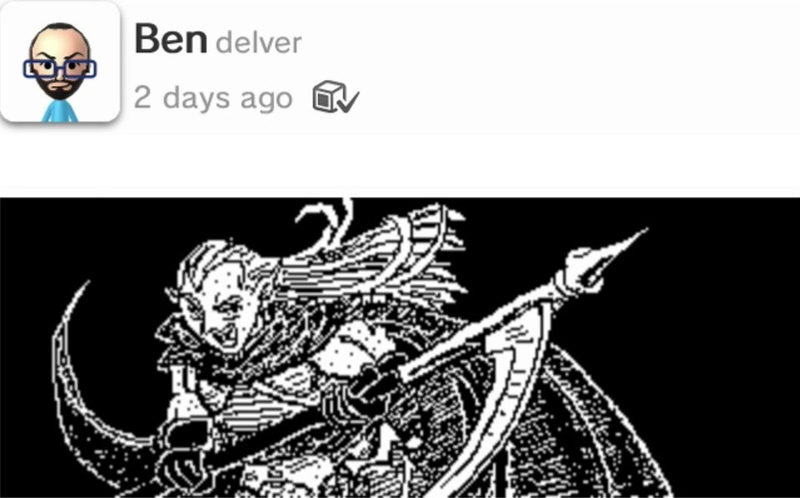 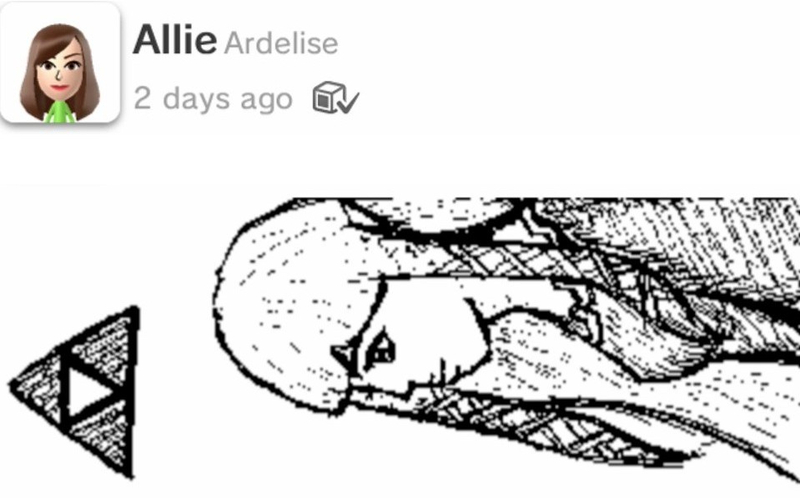 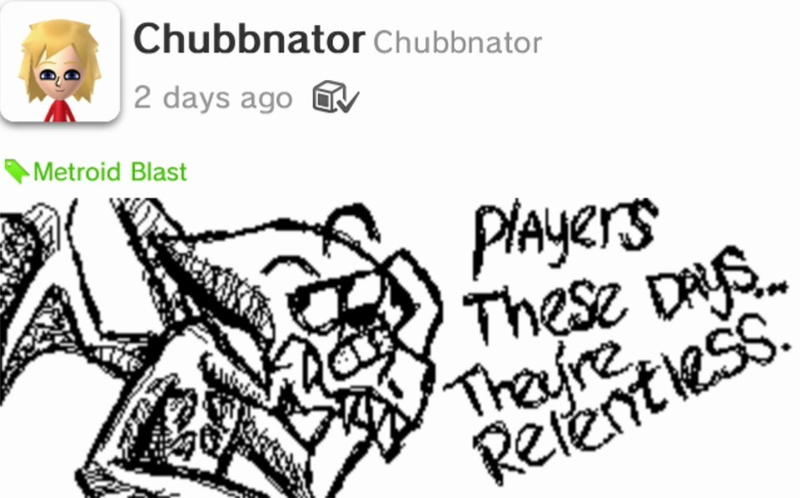 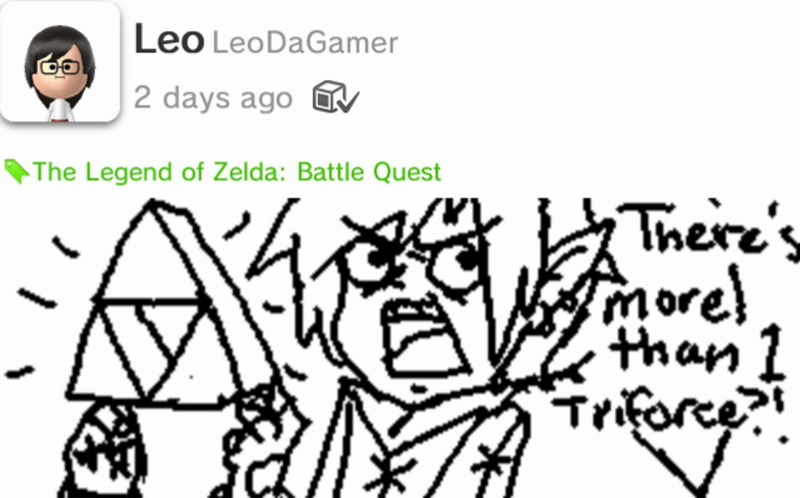 Using nothing more than a stylus and a GamePad with a resolution of 854×480, the Miiverse's inhabitants are creating some impressive artwork that invokes their favorite Nintendo characters. 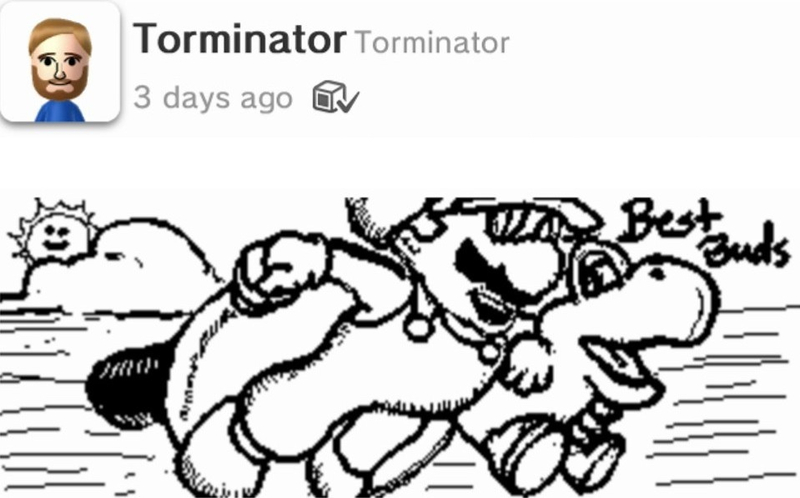 In the days before and after the turn of the year, I captured my fifty favorite such drawings from the Nintendo Land community and compiled them into this YouTube video. 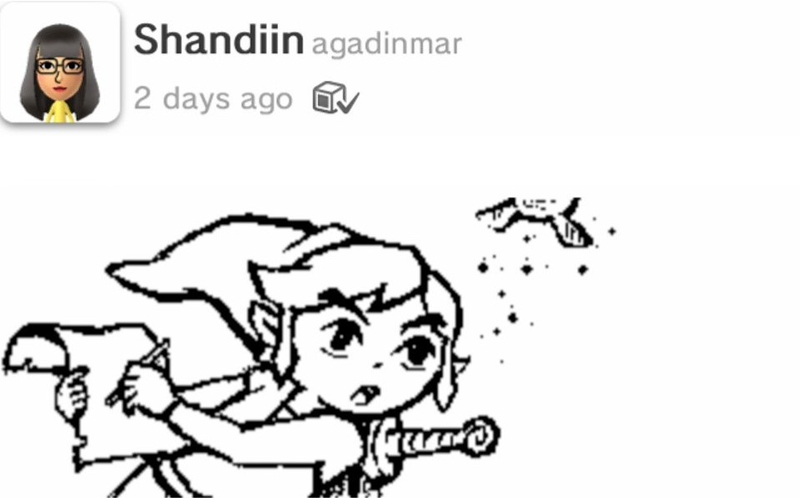 If you see any particular sketch you like, the corresponding image files are in the gallery found after the jump. 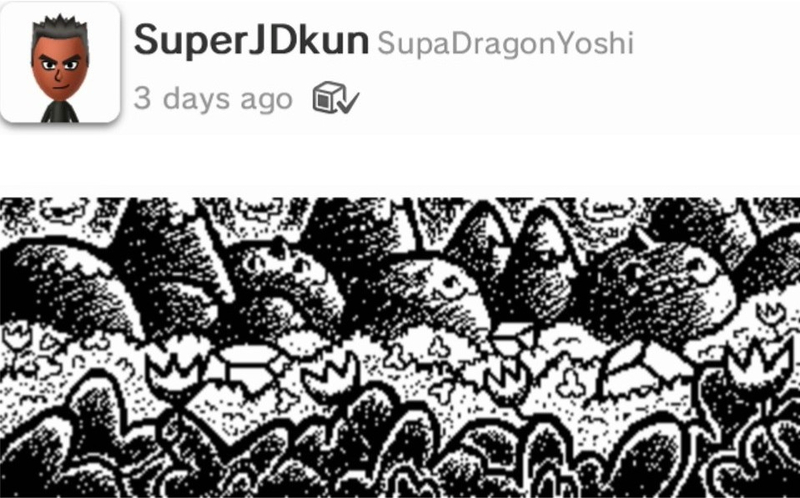 Note that the only editing that occurred was to add some whitespace to the 26 images that were not drawn in a particular minigame, to make them the same height as those images that did declare a game's title. 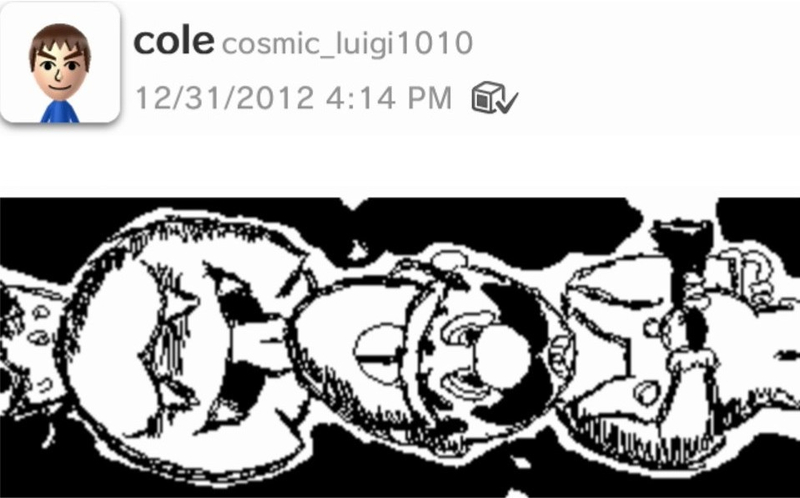 See the video's description on YouTube or click individual photos below for credits. 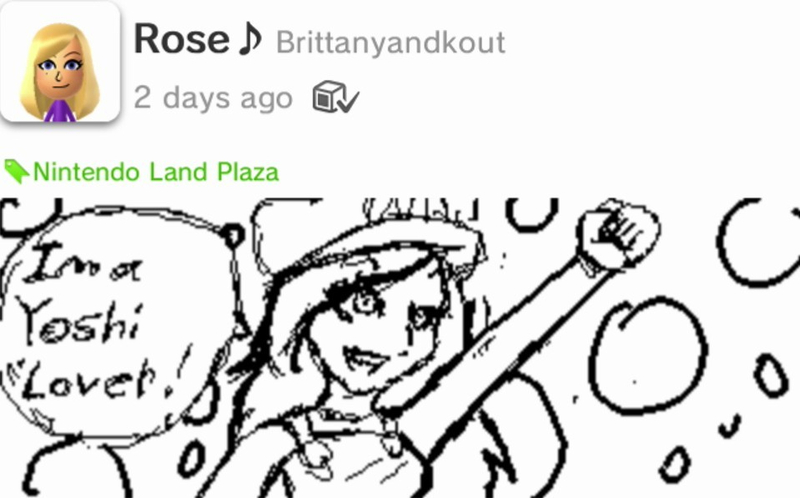 Hey I'm one of the artists on here. 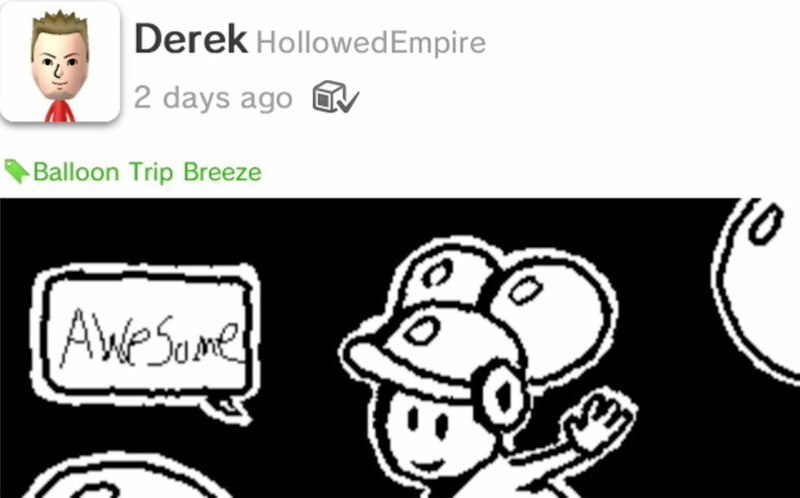 I'm JB3777 check out my website http://www.bestretrovideogames.com/ its kinda moving slow right now but I'm gonna put more stuff up. 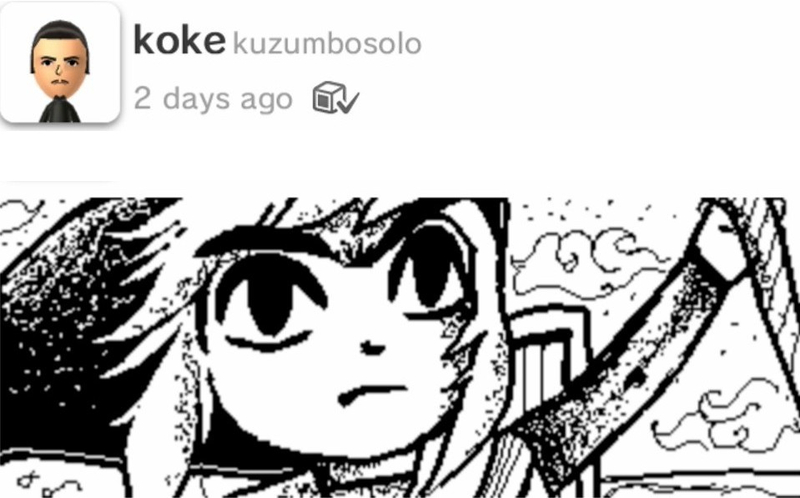 I'm glad you put my artwork here with my name for credit. 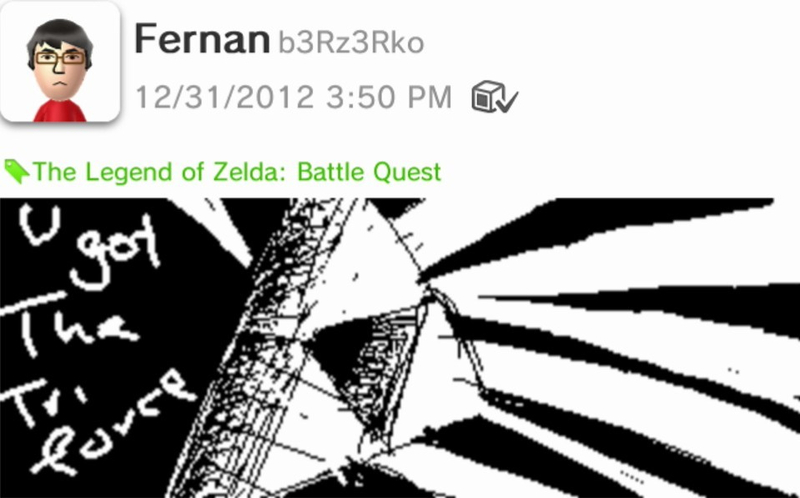 I'm also an indie game developer. 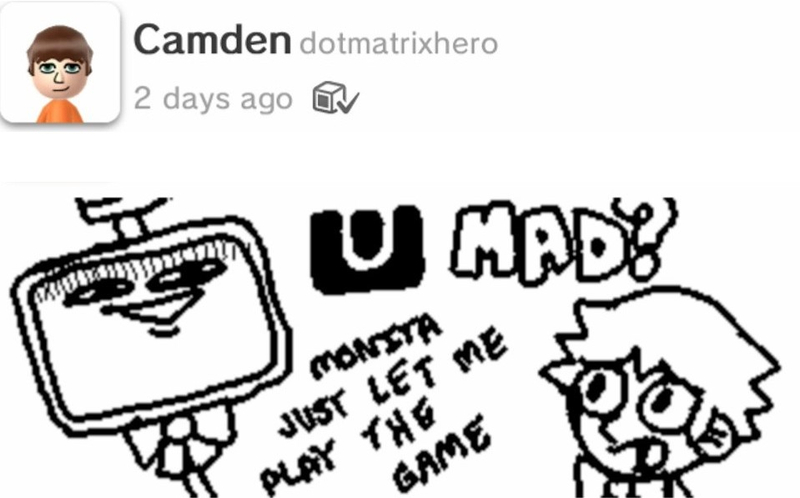 Watch out for my game coming soon! 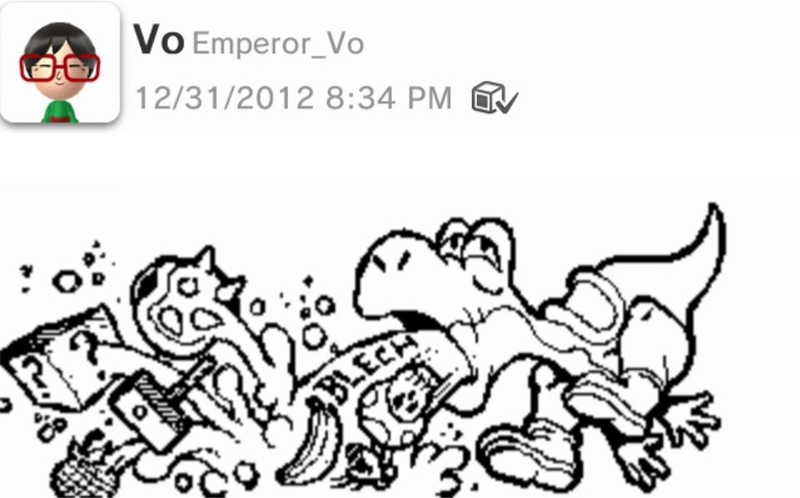 Ken, thanks for digging my art (Yoshi with a Tummy Ache). 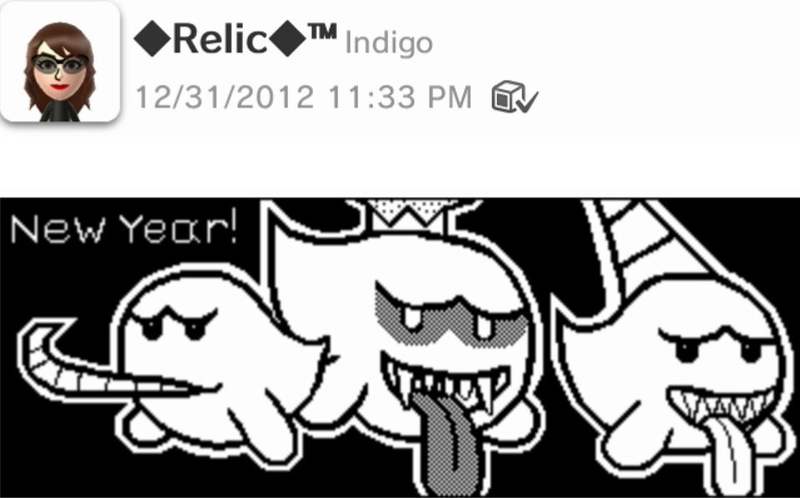 Posted On Jan 9, 2013 in News with 2 Comments.